Photo of a tropical monitor lizard. 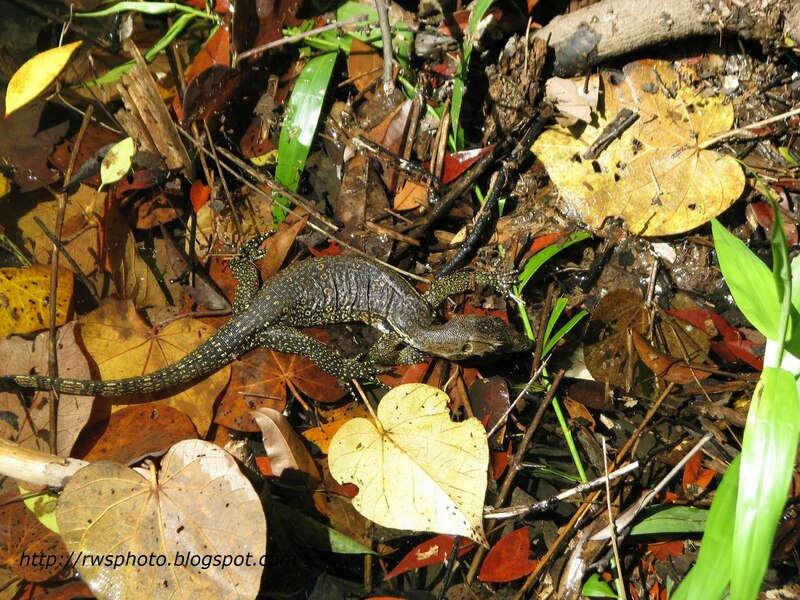 The specimen below is likely an Asian water monitor (Varanus salvator salvator). 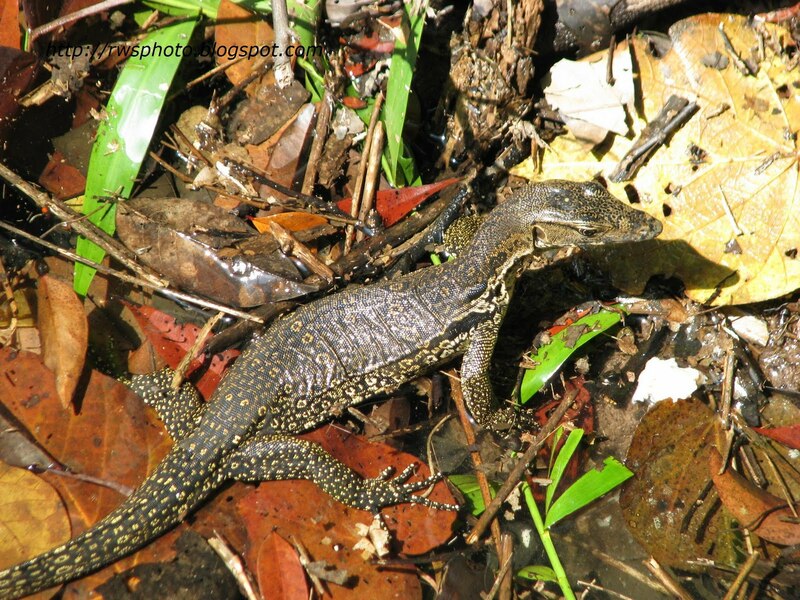 Monitor lizards, also known as biawak or goannas, genus Varanus, are members of the family Varanidae. 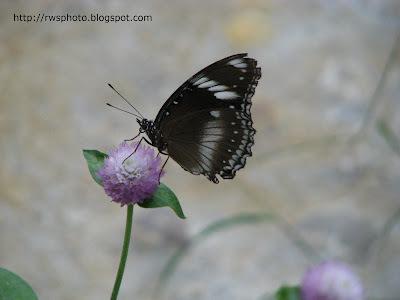 Photo taken at Kem Permai, Kuching. 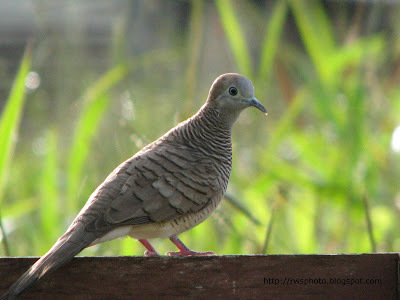 Photo of a tropical dove relaxing during her morning sun-bath. The bird in the photo look like a Bar-shouldered Dove (Geopilia humeralis) or a Peaceful Dove (Geopelia striata). 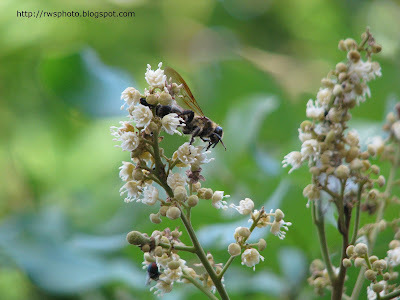 The photo is shot with 24x digital zoom, so the photo quality is not pleasing. Close up photo of tropical red Powder Puff Flower or Sensitive Briar. On a closer look, Powder Puff flower look like a Mimosa Pudica flower. 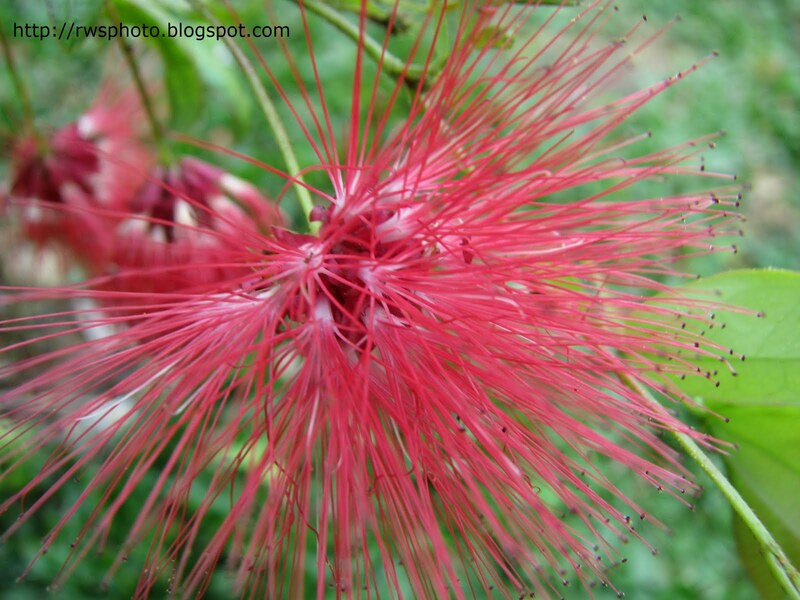 Calliandra haematocephala is a fast growing shrub that can grow tall but also spreads wide. If desired it can be kept smaller by trimming. Interesting enough the leaves close at night. be grown indoor if trimmed and grown in a pot but it will be best if you can grow it outside in a warm climate. Powder Puffs come in white as well. 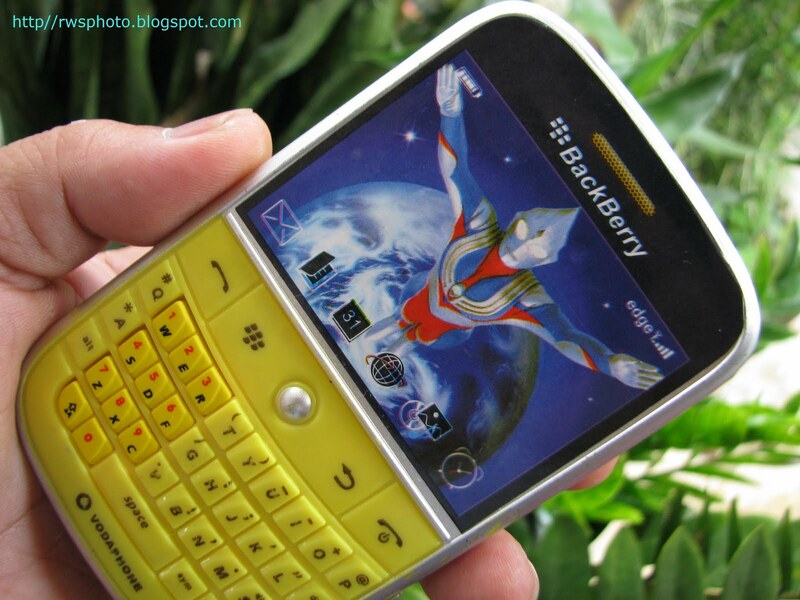 Power Puff originated from Bolivia. 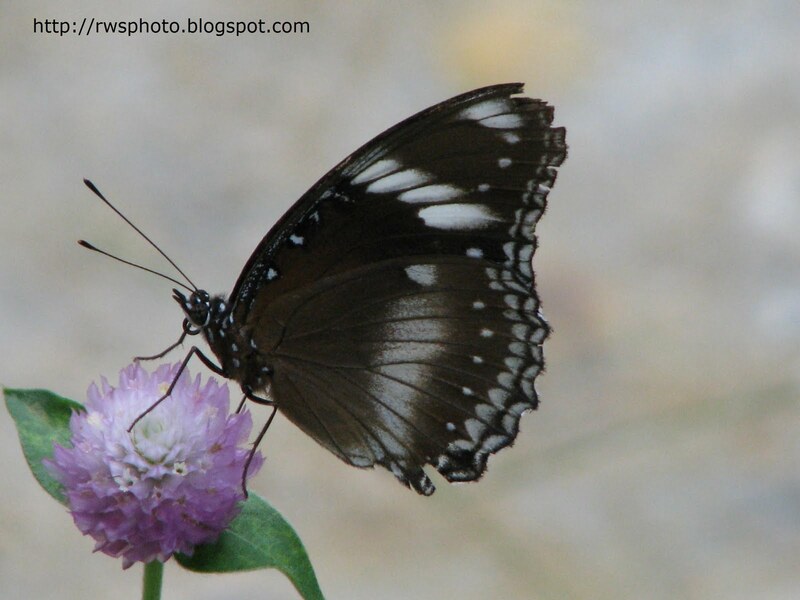 Chilasa clytia, a common tropical butterfly found in Borneo. 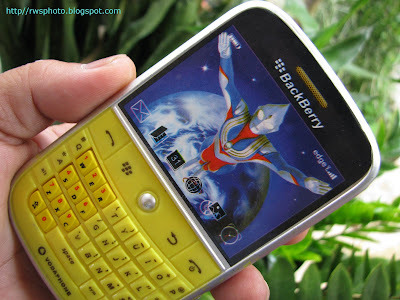 If not for the gloomy weather, the photo shoot would be perfect. The Chilasa clytia was just perching still on a flower and the air was still. A steady shot but lighting was a let down. 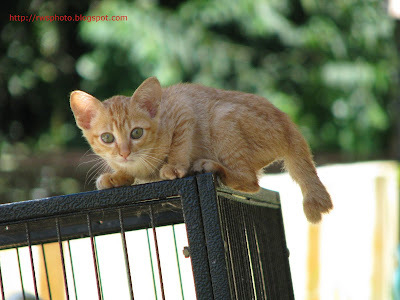 About a foot away in normal macro mode (not zero macro). I think the photo above is about 5x lens zoom. See my Flickr gallery as well for more tropical butterflies. 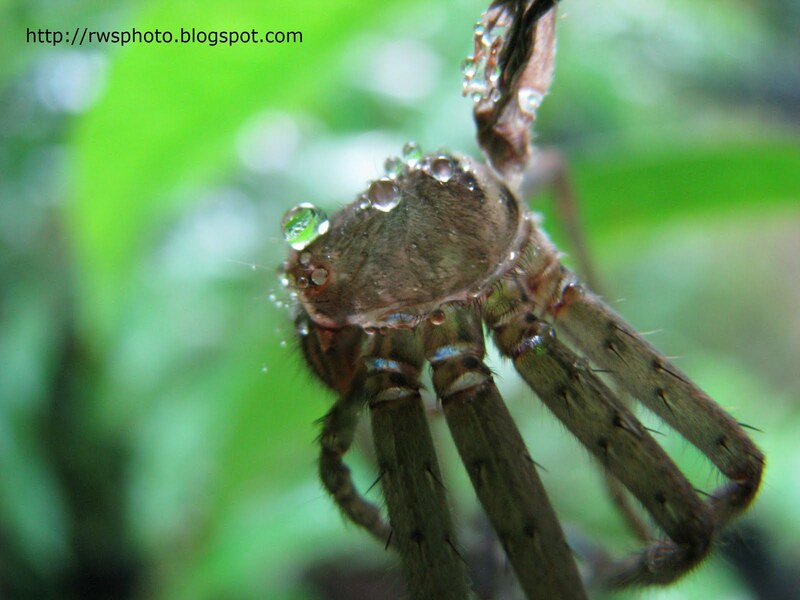 Photo of a dead Huntsman spider. Red ants or fire ants from Borneo. 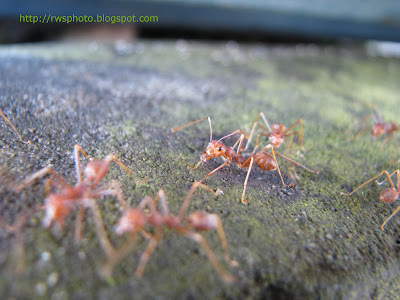 The bodies of fire ants, like all insects' bodies, are broken up into three sections: the head, the thorax, and the abdomen, with three pairs of legs and a pair of antennae. Fire ants can be distinguished from other ants by their copper brown head and body with a darker abdomen. 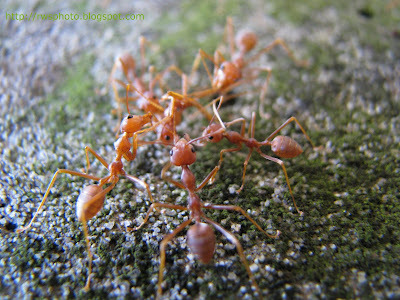 The worker ants are blackish to reddish, and their size varies from 2mm to 6 mm (0.12 in to 0.24 in). These different sizes of the ants can all exist in the same nest. Photo of a maroon spiky Setora fletcheri slug caterpillar. The slug caterpillar's decoration is not just for show. At any sign of danger, each cluster of spines blooms into a bristly sphere. 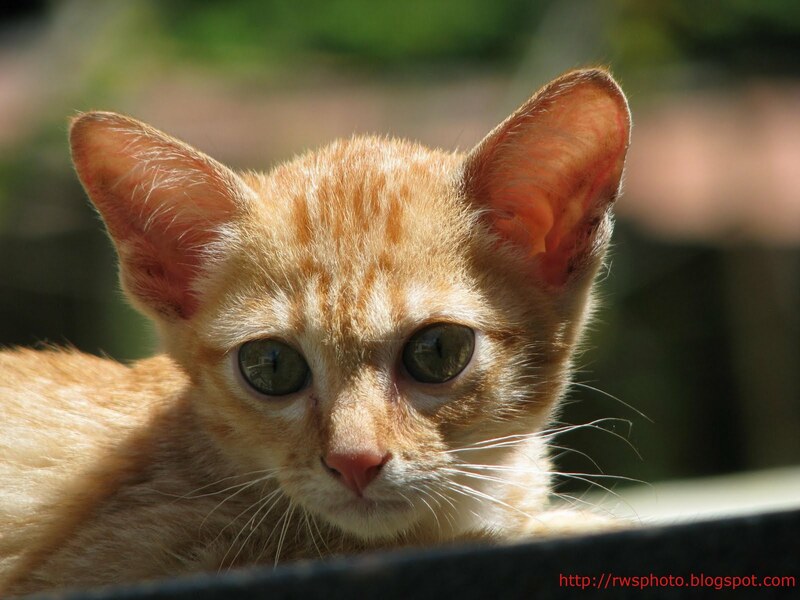 Glands at the base of the spines produce venom rich in histamines--liquid peril for any would-be attacker. 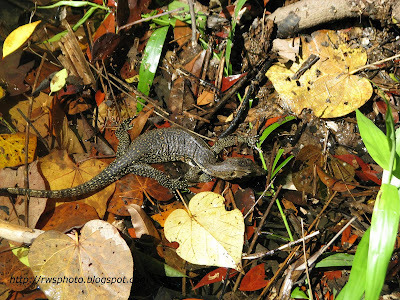 Setora fletcheri showing warning coloration and spines loaded with toxins that erect when the slug is disturbed. 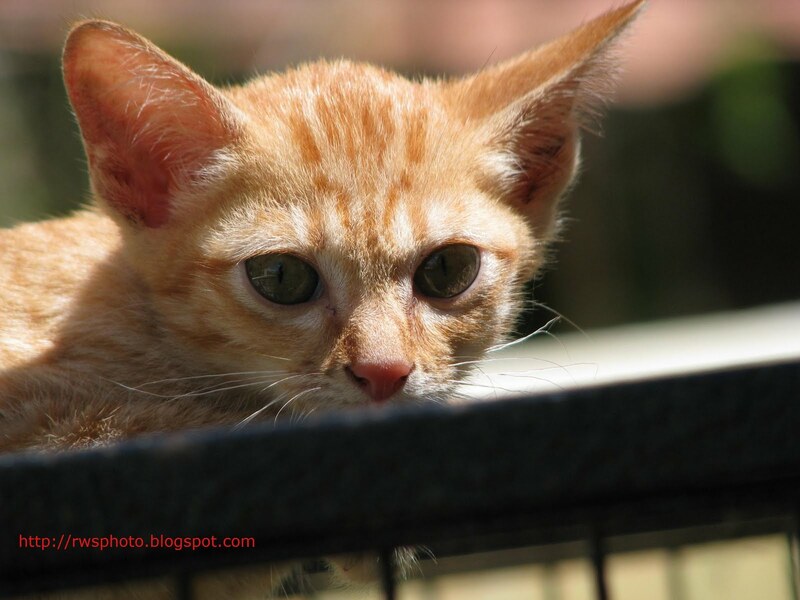 Photo shot at JP Jaban farm, 14th Mile Kuching Serian Road. 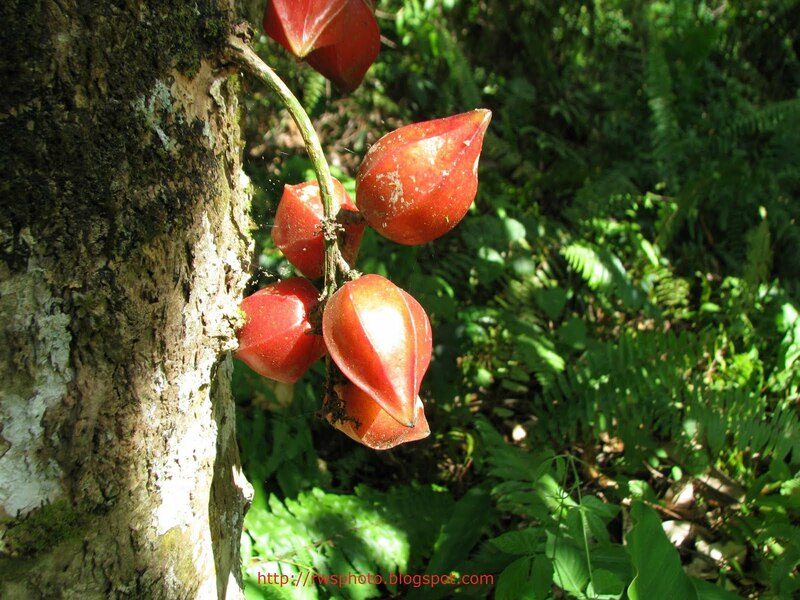 Baccaurea angulata is also close relative of the Starfruit (Averrhoa carambola). Some may called it Red Angle Starfruit. The Baccaurea angulata fruits have a tangy taste, both the aril and the skin. A seasonal fruit which is often seen from November to January, sold by roadside sellers and in native fruit and vege markets. 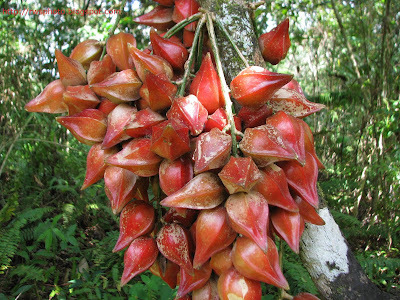 Ripen Baccaurea angulata are either in red or pinkish. 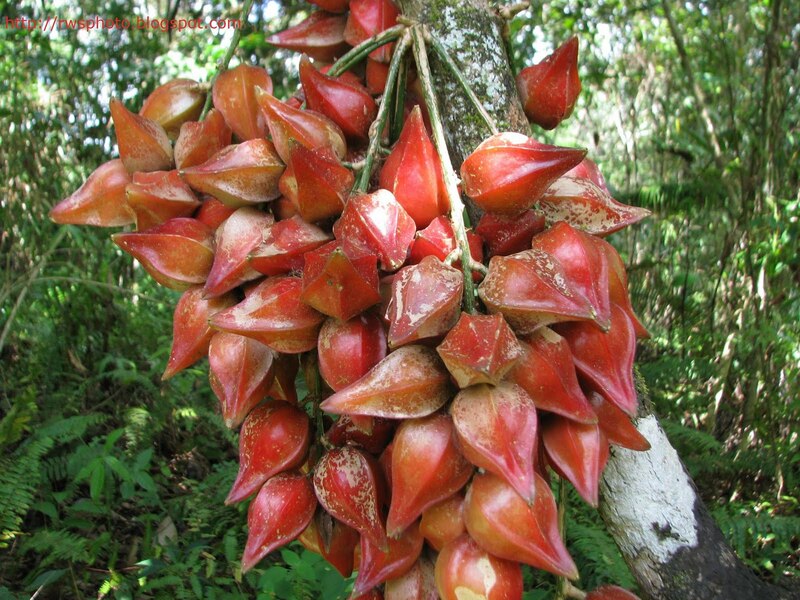 And when the season come, Baccaurea angulata is very generous with its fruits. The fruits are borne from the trunk and branches. Plentiful of them. 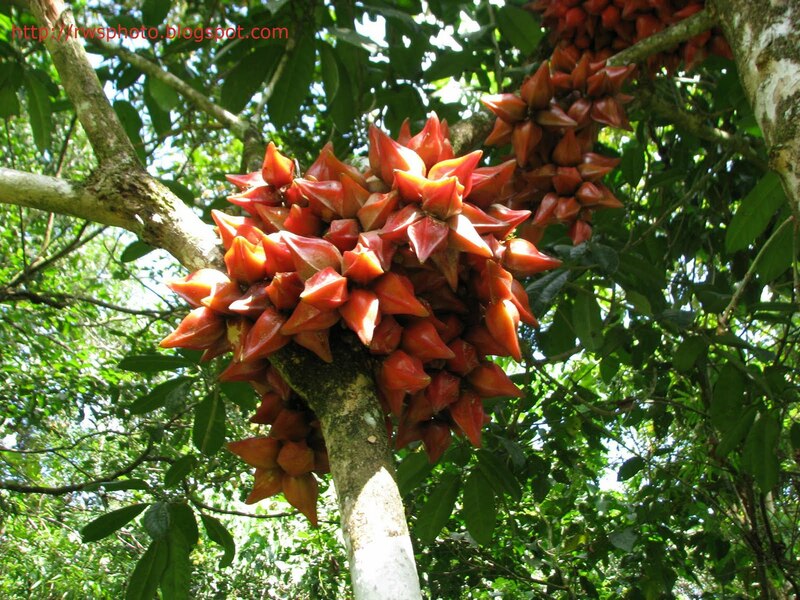 Baccaurea angulata may reach 8 m tall, profusely branched. 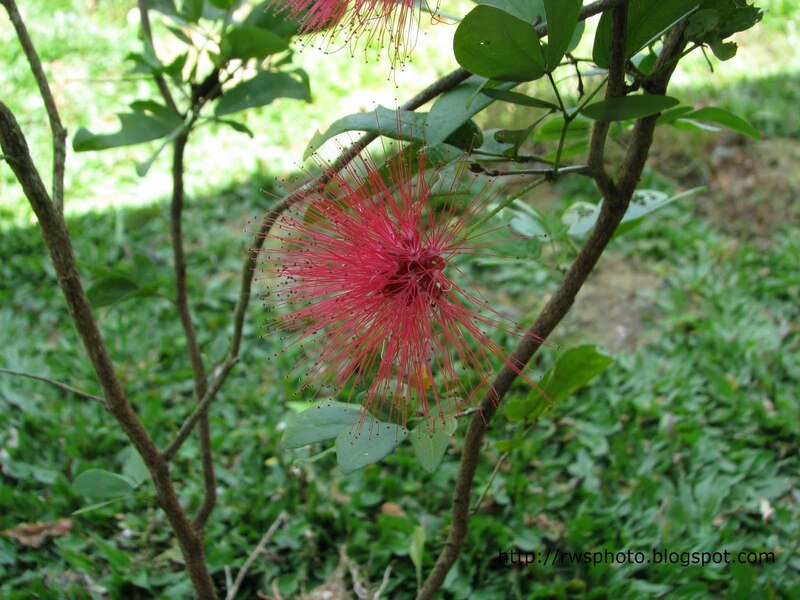 Flowers (yellow) and fruits (red) colourful so may be planted as an ornamental. 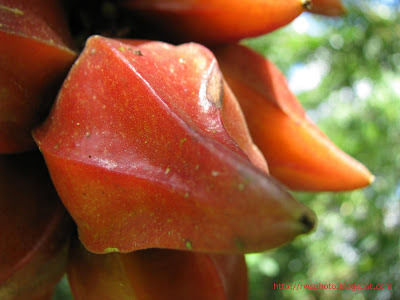 Fruits are angular and inside is white, juicy, sourish-sweet edible pulp. A photo of tiny yellow caterpillar will black dots. 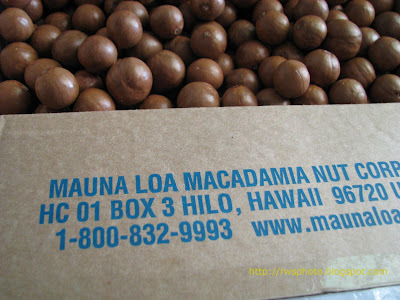 I get to hold a box of Macadamia Integrifolia Nuts, freshly flown from Hawaii. Would you believe it? 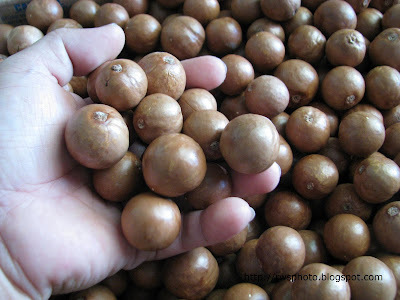 Macadamia Integrifolia Nuts in Malaysia. And no, the nuts will not be roasted but destined to a nursery. 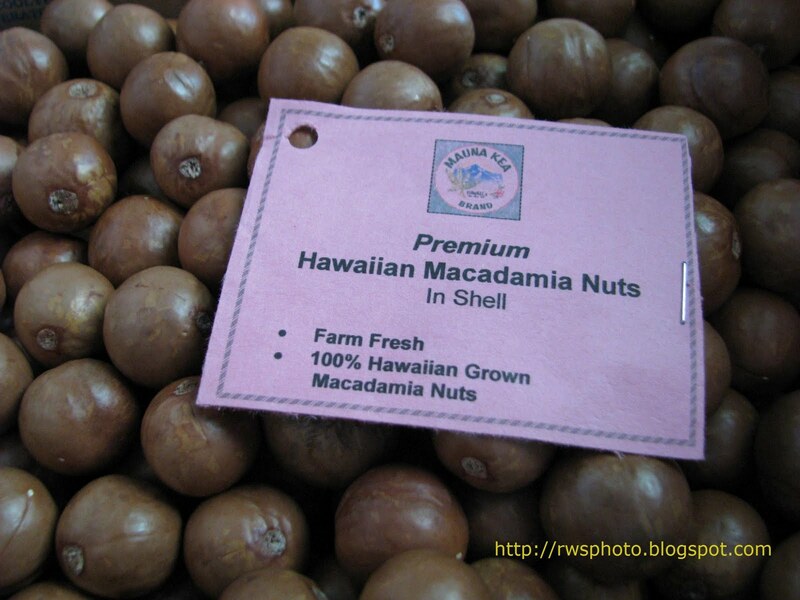 Hawaii is the largest producer of Macadamia nuts. Macadamia nuts (Macadamia integrifolia) are dry drupes containing a very hard seed-bearing endocarp. 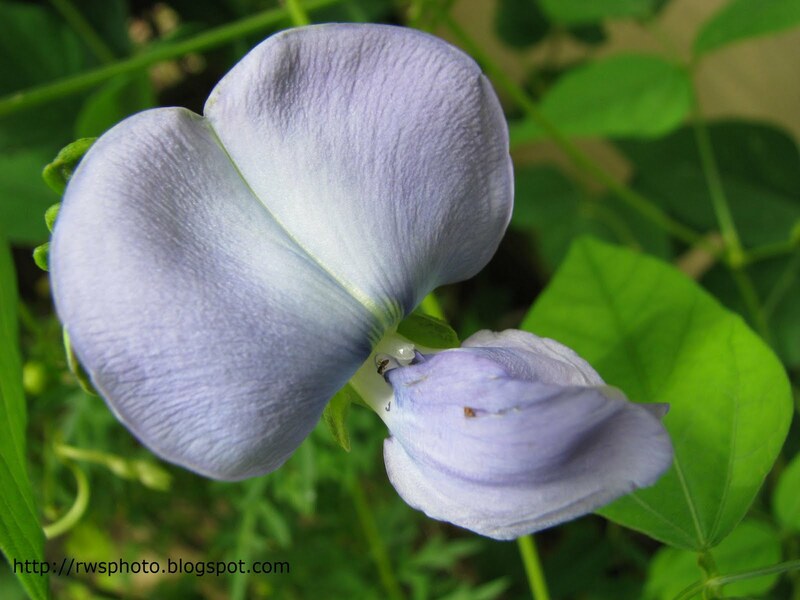 According to most botanical references, the outer husk represents part of the ovary wall or pericarp. 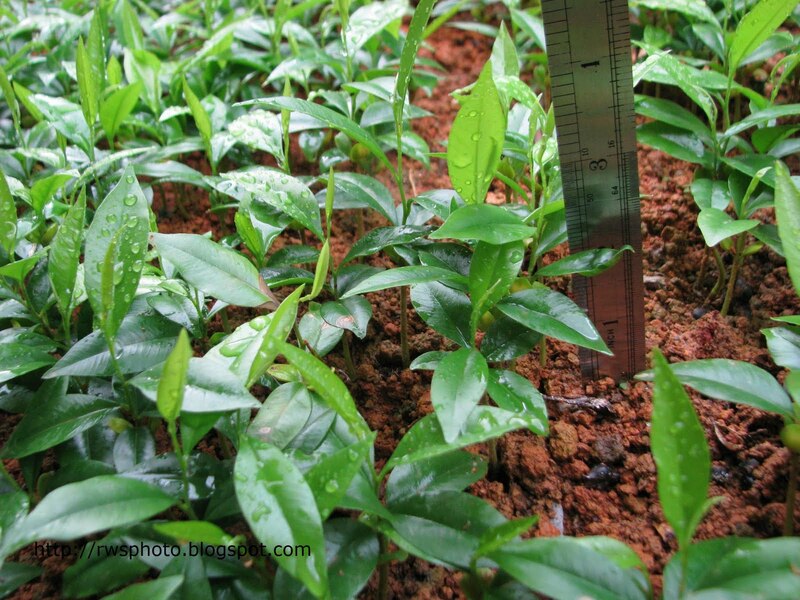 They are small to large evergreen trees growing to 2–12 m tall. 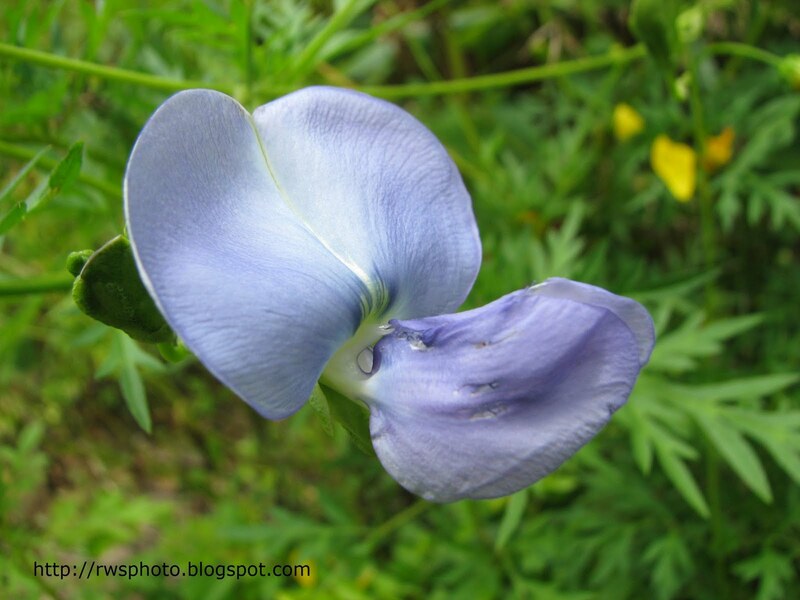 The leaves are arranged in whorls of three to six, lanceolate to obovate or elliptical in shape, 6–30 cm long and 2–13 cm broad, with an entire or spiny-serrated margin. The flowers are produced in a long slender simple raceme 5–30 cm long, the individual flowers 10–15 mm long, white to pink or purple, with four tepals. 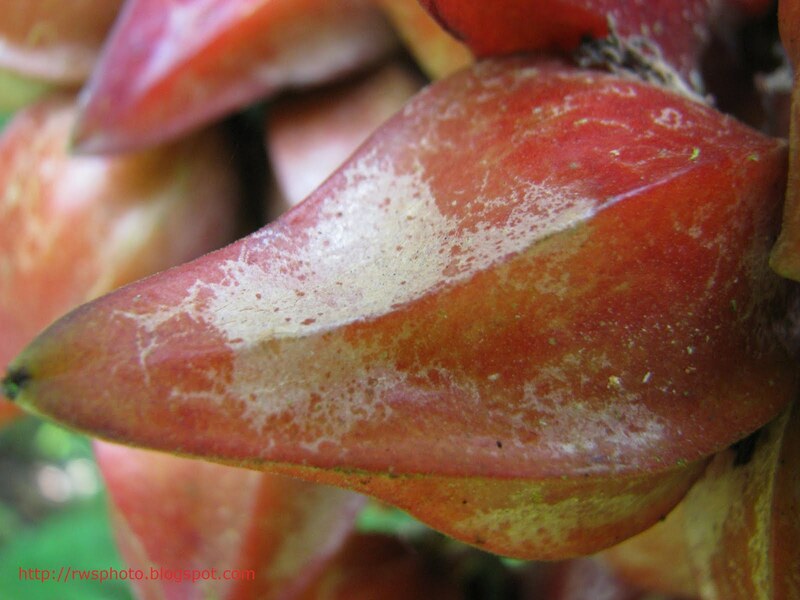 The fruit is a very hard woody globose follicle with a pointed apex, containing one or two seeds. The nuts are a valuable food crop. 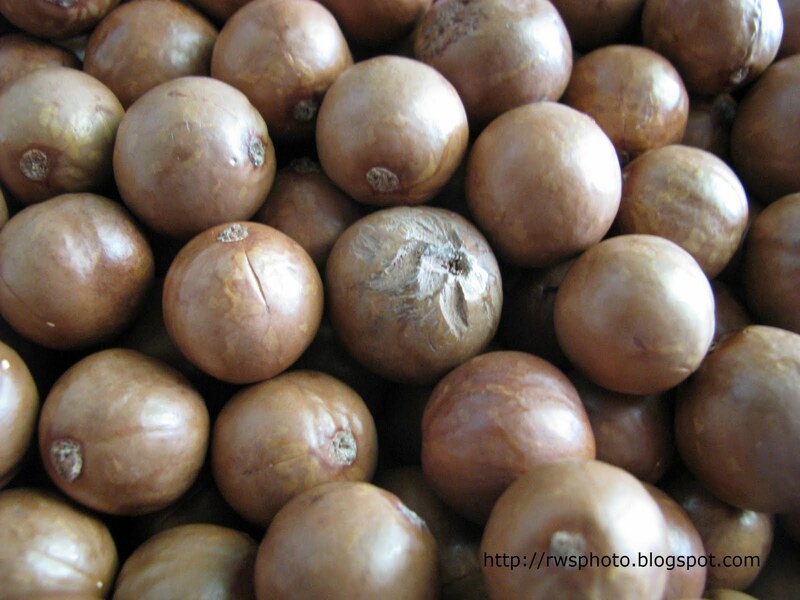 Only two of the species, Macadamia integrifolia and Macadamia tetraphylla, are of commercial importance. 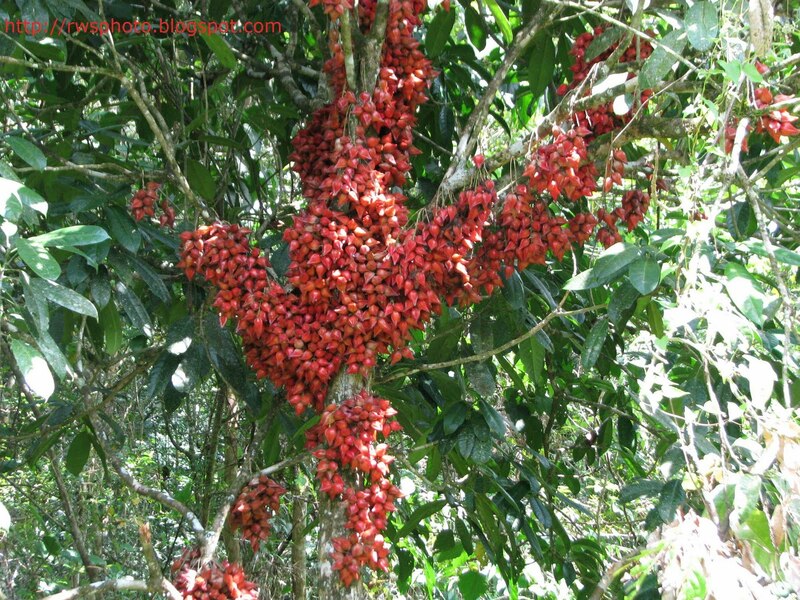 The remainder of the genus possess poisonous and/or inedible nuts, such as M. whelanii and M. ternifolia; the toxicity is due to the presence of cyanogenic glycosides. The macadamia tree is usually propagated by grafting, and does not begin to produce commercial quantities of nuts until it is 7–10 years old, but once established, may continue bearing for over 100 years. The macadamia nut has an extremely hard shell, but can be cracked using a blunt instrument, such as a hammer or rock applied with some force to the nut sitting in a concave surface, or a custom made macadamia nutcracker can be used. How many times have you said, "nuts to the diet." Well now perhaps it should be "nuts in the diet." It seems that macadamia nuts may be a good addition to the daily diet, particularly if you want to reduce blood cholesterol levels. Macadamia nuts like all non-animal foods contain no cholesterol. 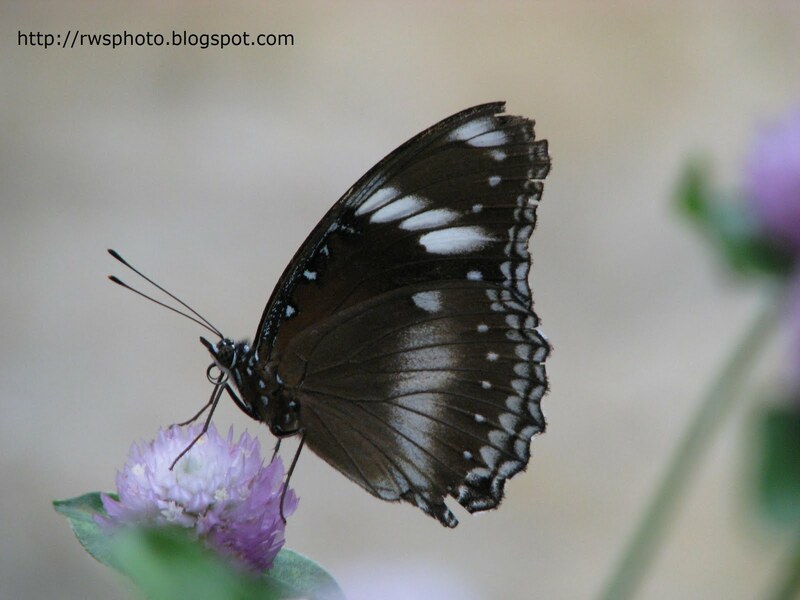 But they are remarkable in the fact that their fat contains over 86% monounsaturated fatty acids. 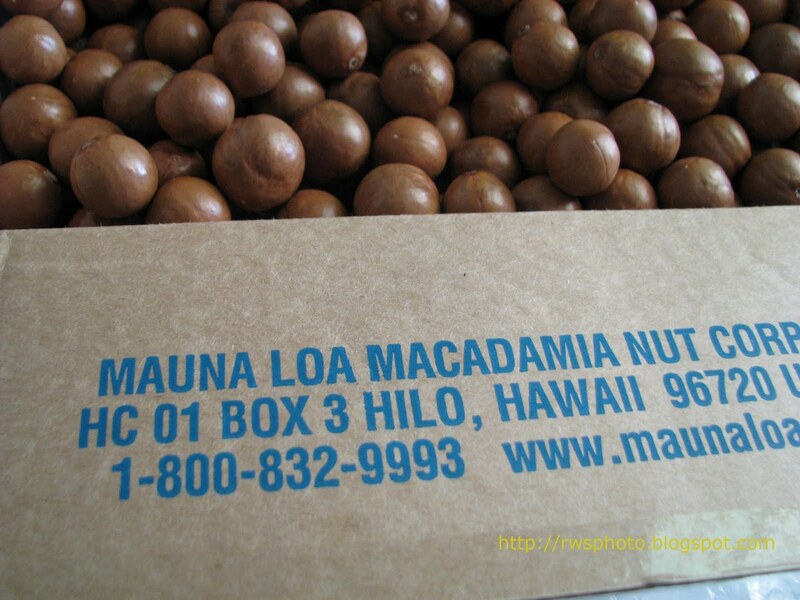 The average macadamia nut will also add about 18 calories to your diet. Oil from the macadamia nut is used in the cosmetic industry because of similarities between the nut oil and human skin. 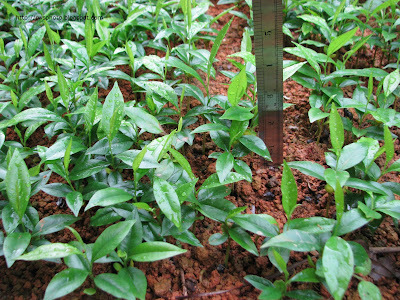 Young Agarwood saplings between 3 to 4 inches in height and about one month old. The Agarwood species is of Aquilaria crassna, a resinous heartwood, used for perfume and incense. 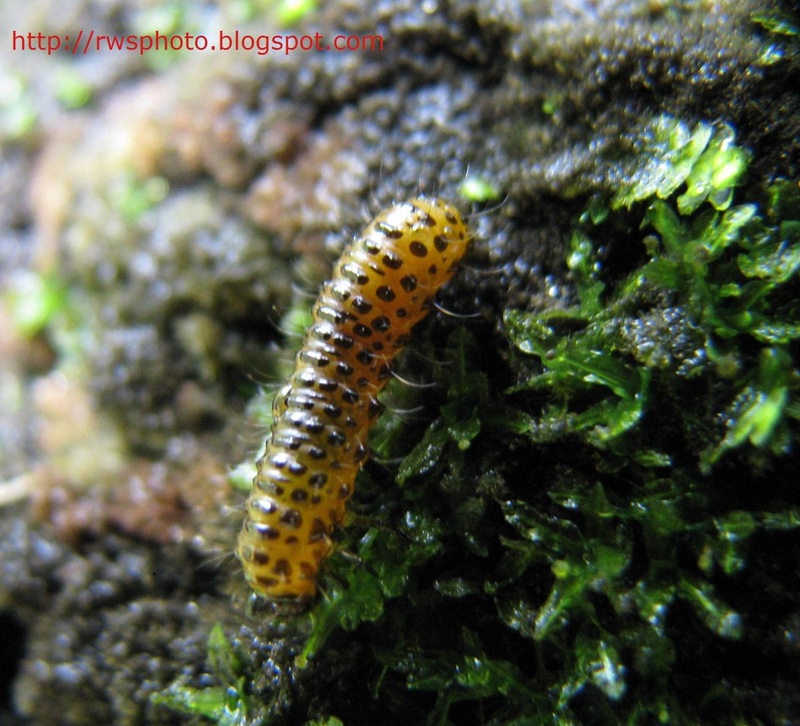 The resin is produced by the tree in response to infection by a parasitic ascomycetous mould, Phaeoacremonium parasitica, a dematiaceous (dark-walled) fungus. When the Agarwood saplings reach the height of 3 to 4 inches, it can be transplanted into bags. Photo taken at a nursery at 13th Mile Kuching-Serian road, just after the rain. Agarwood is also locally known as Gaharu. 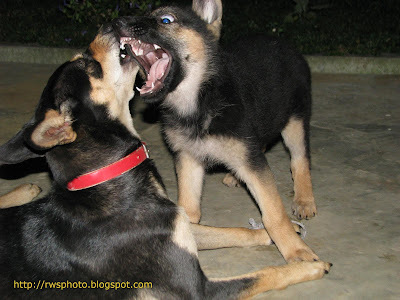 A local Kelpie faceoff with a German Shepperd puppy. Neither want to lose. 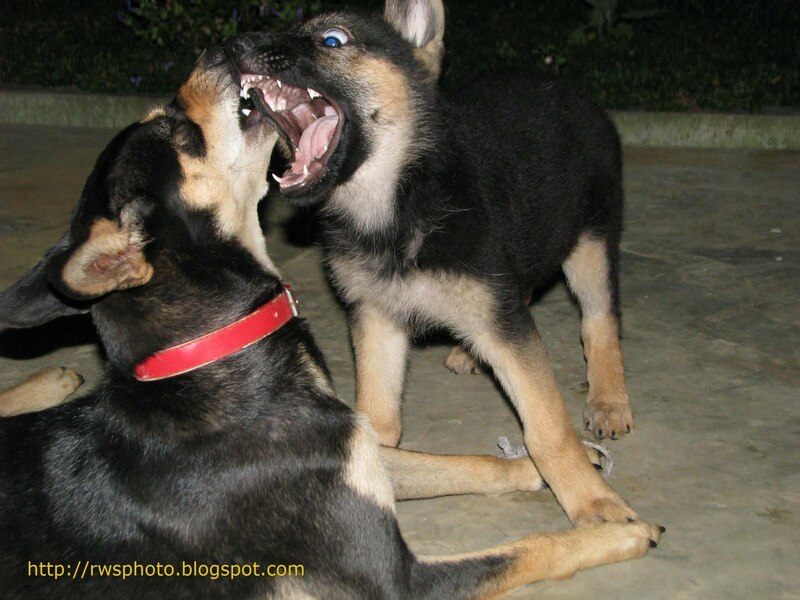 The ancestors of the Kelpie were simply (black) dogs, called Colleys or Collies. The word "collie" has the same root as "coal" and "collier (ship)". Some of these collies were imported to Australia for stock work in the early 1800s, and were bred to other types of dogs (possibly including the occasional Dingo), but always with an eye to working sheep without direct supervision. 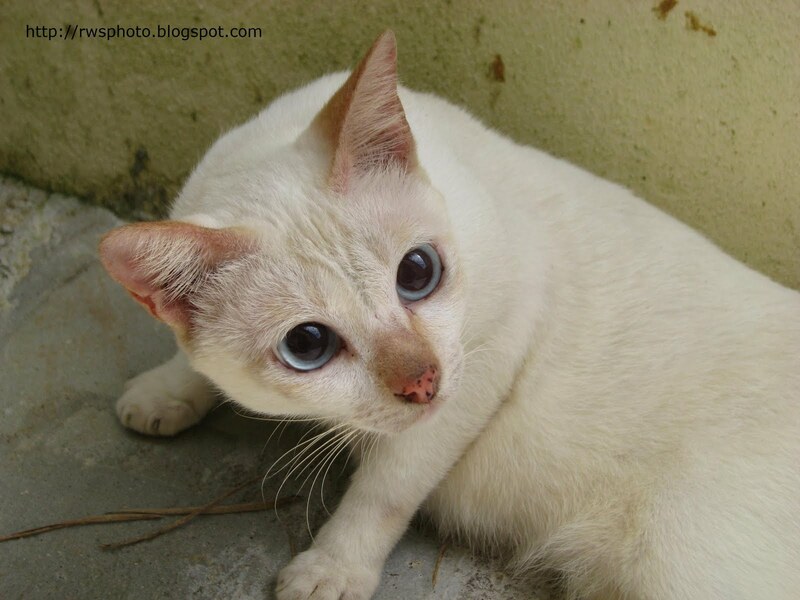 So I have no idea how a look alike Kelpie can found its way here, at Borneo. Photo of a white blind cat. 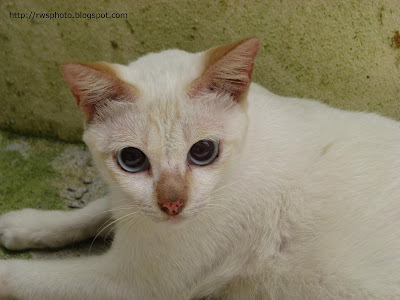 The blind cat belongs to my neighbor and they called the cat, Snowy. 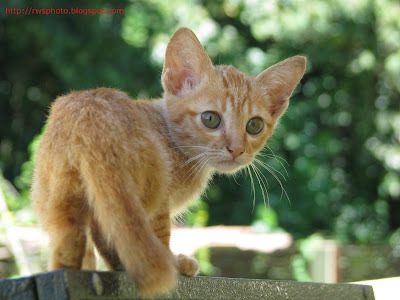 The cat use hearing to locate noises. 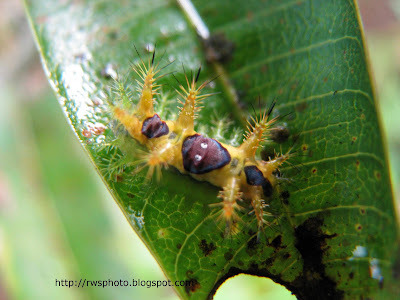 A close up photo of a small pale yellow spiky caterpillar with an alien face (or is it Teenage Mutant Ninja Turtle face), perched on a mango leave. 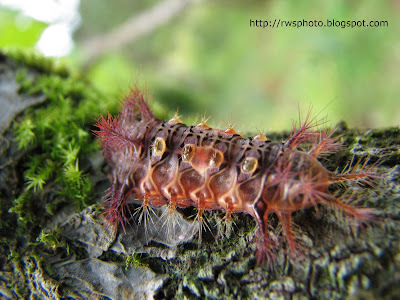 This specimen look like my previous luminous green Euclea delphinii catepillar.